This delicious raw almond, date slice is one of my favourite snack recipes. Not only is it delicious, it is also vegan and ticks all the healthy boxes meaning you don’t have to feel bad when you over indulge in it! 1. 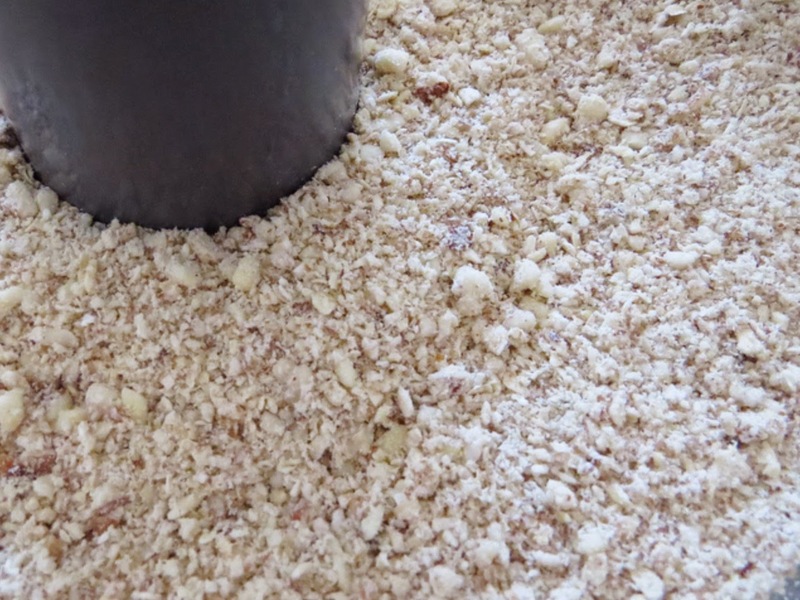 Place the almonds, oats and salt into a food processor and blend. This can take 20 sec to a minute or two depending on how powerful your food processor. 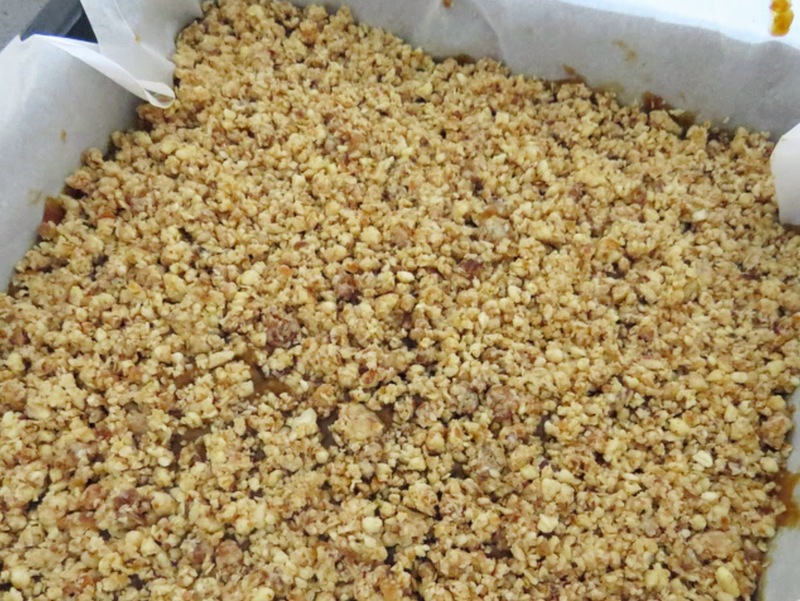 The mixture will become crumbly. Don’t worry too much if it’s not super fine, just as long as there aren’t big chunks of almonds. 2. Add the first 10 dates and process again. 3. Add the melted coconut oil and process until the mixture starts to clump a little. This will be a matter of seconds. 4. Line a baking tray with baking/grease proof paper (I used an 8 x 8 inch baking tray). Then take roughly 3/4 of the mixture and press it into the base of the baking dish. It’s easiest to do this with a spatula I find. Place the remaining 1/4 of the mixture in a bowl for later. 5. Next, take the food processor again, don’t worry about washing it out, just make sure there are not big chunks of mixture left in it. Add the remaining 25 Medjool dates and the water and blend. 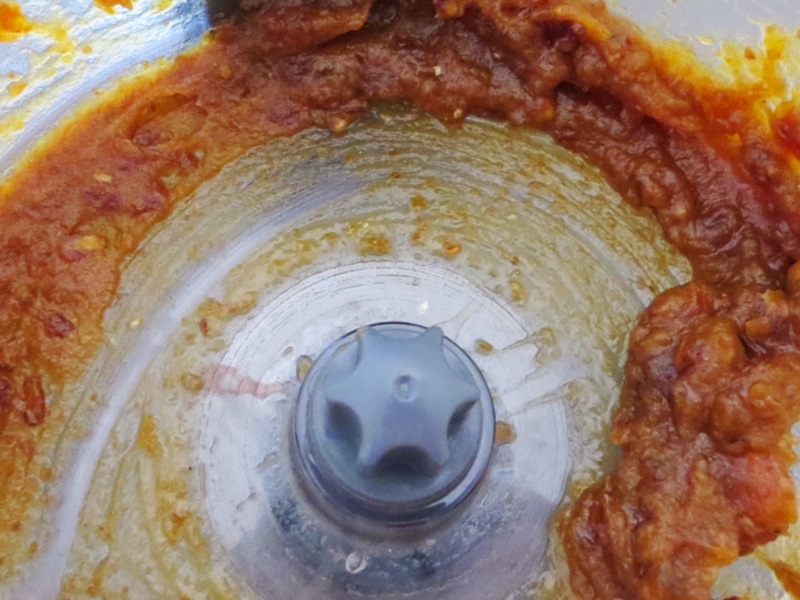 Be careful with this part as most food processors do not seal 100%. I find that I have to hold down the lid so that water doesn’t come shooting out of the sides. Also, if you have a larger processor, you may find that you have to pause a few times and use a spatula to scrape the date mixture back down so that it blends completely. 6. Once blended, take the date mixture and spread it over the almond/oat base. This can be a bit tricky because the base is crumbly, it just takes a little bit of time. 7. 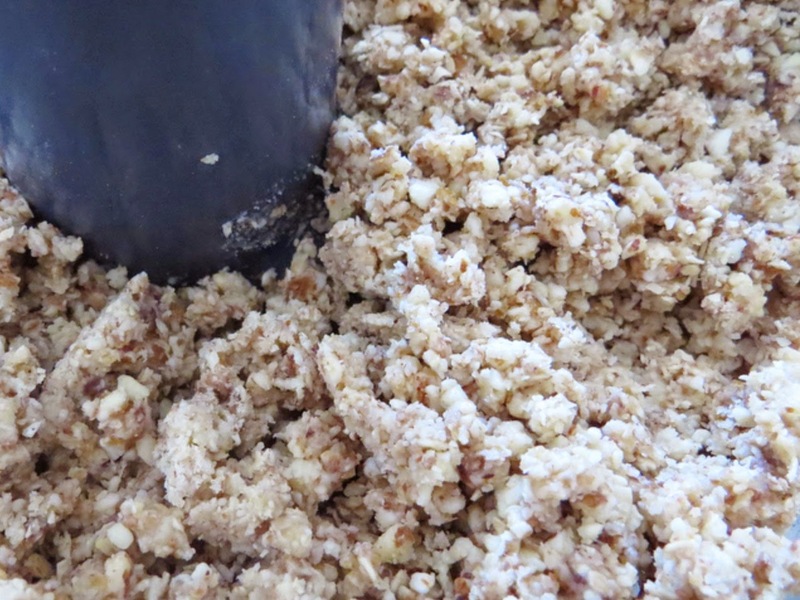 Finally, sprinkle the remaining almond/oat mixture that was set aside over the top of the date mixture. I like to press it in slightly so that it doesn’t crumble off later.